Daniel S. Hamermesh is Distinguished Scholar in Economics, Barnard College, and Network Director, Institute for the Study of Labor (IZA). 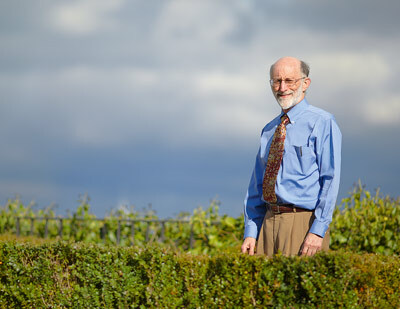 He is Sue Killam Professor Emeritus in the Foundation of Economics at the University of Texas at Austin, and professor emeritus, Royal Holloway University of London. His A.B. is from the University of Chicago (1965), his Ph.D. from Yale (1969). He taught from 1969-73 at Princeton, from 1973-93 at Michigan State, and at Texas from 1993-2014. He has held visiting professorships at universities in North America, Europe, Australia and Asia, and lectured at over 260 universities in 48 states and 33 foreign countries. His research, published in over 100 refereed papers in scholarly journals, has concentrated on time use, labor demand, discrimination, academic labor markets and unusual applications of labor economics (to beauty, sleep and suicide). He is the author of Labor Demand (Princeton University Press, 1993), Beauty Pays (Princeton University Press, 2011) and Spending Time (Oxford University Press, 2019). Hamermesh is a Fellow of the Econometric Society and the Society of Labor Economists, a Research Associate of the National Bureau of Economic Research and the Institute for the Study of Labor (IZA), and Past President of the Society of Labor Economists and of the Midwest Economics Association. In 2013 he received the biennial Mincer Award for Lifetime Contributions to Labor Economics of the Society of Labor Economists; the annual IZA Prize in Labor of the Institute for the Study of Labor; and the biennial John R. Commons Award of the international economics honor society OΔE. His magnum opus, Labor Demand, was published by Princeton University Press in 1993. The same press published his Beauty Pays in 2011. In 2014 Worth Publishers published the fifth edition of his Economics Is Everywhere, a series of 400 vignettes designed to illustrate the ubiquity of economics in everyday life and how the simple tools in a microeconomics principles class can be used.His undergraduate teaching, particularly of large classes in introductory economics, has gained him several University-wide teaching awards. Hamermesh has been married for 48 years to Frances W. Hamermesh, an attorney, and they have two sons. His hobbies include long-distance running, at which his skills are rapidly deteriorating; foreign travel, in which increasing practice has heightened his enjoyment, and spending time with his six grandchildren, ages 19 to 9, whom he does not see often enough. Economics 376M is a course in personnel economics. We will use economic theory to analyze how profit-maximizing firms make decisions involving human resources. Among the topics to be covered are the following: Neoclassical labor demand theory Recruiting, hiring, and job design Training and investment in workers' human capital Compensation, promotion, and provision of incentives Nonwage job attributes and fringe benefits The first unit of the course, covering neoclassical labor demand theory, will use tools familiar from ECO 420K to analyze how firms determine the number and mix of workers to use in production. In this unit of the course, we will assume that labor markets are perfectly competitive and all agents have perfect information. In much of the rest of the course, we will relax these assumptions. For example, to understand firms' recruiting behavior, we will consider models in which workers have private information about their ability or in which it takes time for firms to locate workers who are good matches with the firm. To understand the consequences of firm-provided training, we will consider models in which a worker's productivity at the current firm grows with job seniority. And to understand how compensation methods and promotion ladders can provide work incentives, we will consider models in which firms cannot observe workers' choices of effort. This course is a writing component course and therefore a large proportion of your course grade will be determined by your performance on various writing assignments. 3. i-clicker, in case you do not already have one. by you from the website listed above. GRADING (Regular Section) Possible Grades are A, A-, B+, B, B-, etc. midterms.) The remaining 5 percent of the grade is based on an original "Story"
passing "Story" AND you have taken BOTH midterms. any in Economics Is Everywhere or any story, song or movie discussed in class. story must be printed out-no email attachments accepted. Attendance/participation in experiments in Section; 5 percent. Homer" does not apply to this Section. August 28 Scarcity 1, incl. Appendix; start 2. September 11 Supply and demand 4, except pp. 88-98 and 102-103; 3,4 Start 5.
nature of demand Start 6.
except Appendix; 6. pp. 282-286. November 13 Income distribution; 12, except pp. 327-333; 14; 17 discrimination "automation reading." December 4 International trade pp. 41-47; 15. 20 "sweatshop reading." "Scholarship, Citations and Salaries: Economic Rewards in Economics," Southern Economic Journal, 1982. "Facts and Myths About Refereeing," Journal of Economic Perspectives, 1994. "Age and Productivity Among Economists," Review of Economics and Statistics, 1998. "Tools or Toys? The Impact of High Technology on Scholarly Productivity," Economic Inquiry, 2002. "The Determinants of Econometric Society Fellows Elections," Econometrica, 2003. "What Is Discrimination? Gender in the American Economic Association," American Economic Review, 2006. "Reputation and Earnings: The Roles of Quality and Quantity in Academe," Economic Inquiry, 2012. "Six Decades of Top Economics Publishing: Who and How?" Journal of Economic Literature, 2013.